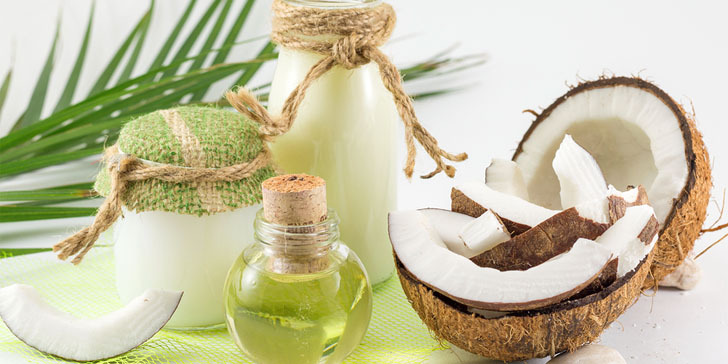 Home » Questions » What Are the Health Benefits of Coconut Oil? Skin Care – Coconut oil works great for the skin because it is an excellent moisturizer. Unlike mineral oil, you don’t see negative side effects with coconut oil. It can also help with a variety of skin conditions like psoriasis eczema, and dermatitis. Just this reason alone is why you’ll see coconut oil in many soaps, creams and lotions. Immunity – Coconut oil helps to improve your immune system because it is jam packed with lauric acid which is a natural antibacterial. Lauric acid can help fight off various diseases and viruses. Hair Care – Coconut oil supports healthy hair growth. It is also extremely effective in reducing protein loss. Protein loss is one of the main factors in unhealthy hair quality. Weight Loss – Coconut oil helps support healthy weight loss because it increases the body’s metabolic rate by removing stress on the pancreas, thereby, burning more energy which helps overweight people burn fat and lose weight safely. Healthy Organs – Coconut oil contains medium chain triglycerides and fatty acids. These fatty acids and medium chain triglycerides helps in prevent liver diseases.